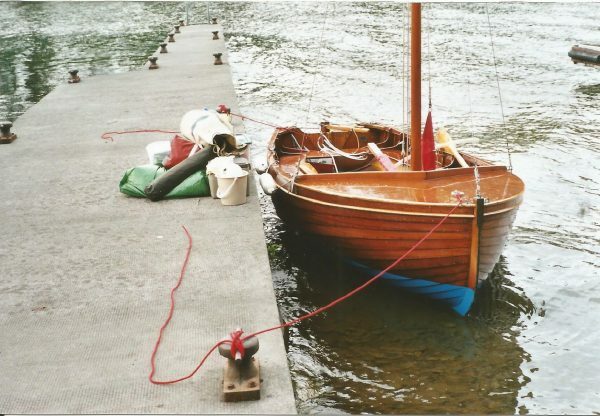 The RNSA dinghy was designed for the Royal Navy to teach sailing to the cadets with some carried on larger war ships. 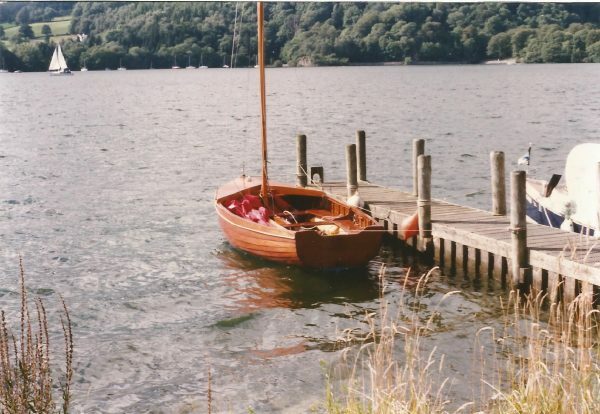 Edgar Cove of Salcombe built a number for the Navy, but he also used the design to build boats for the private market and this is one of those examples. 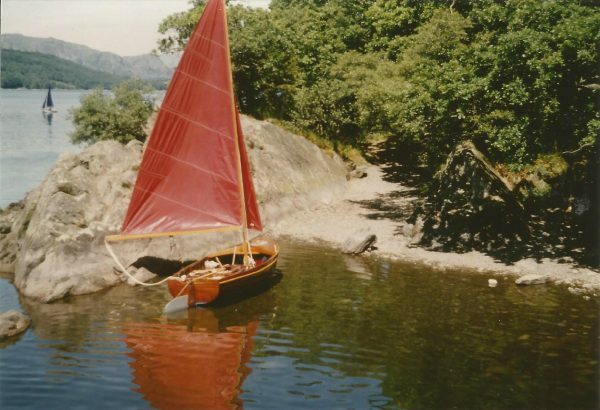 The design was perfect for the sailing family, stable and stiff, plenty of space and at only 14′ they were easy to handle and tow behind the car. 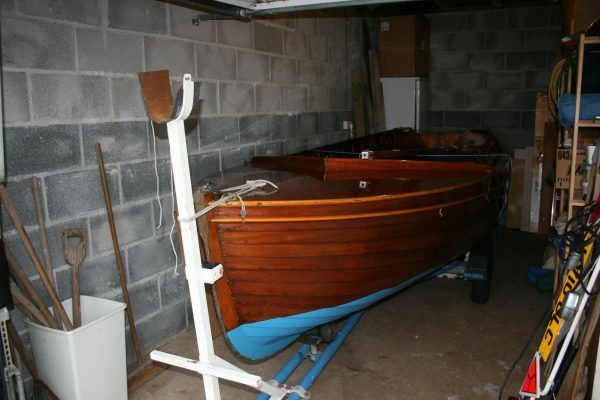 The boats Coves built for the private market were of a particularly high quality and this one looks as if it has only just left the yard. 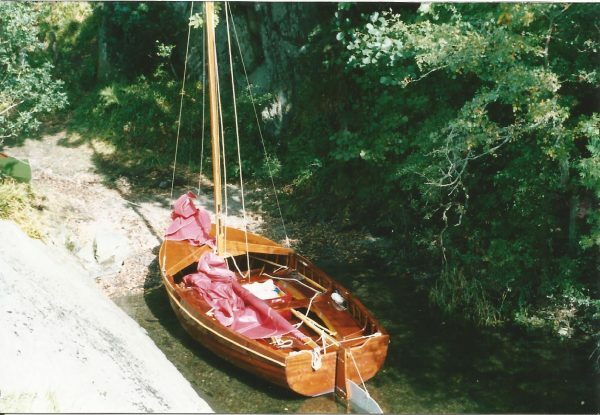 This boat was built by Coves in 1967 and has build number 1513. 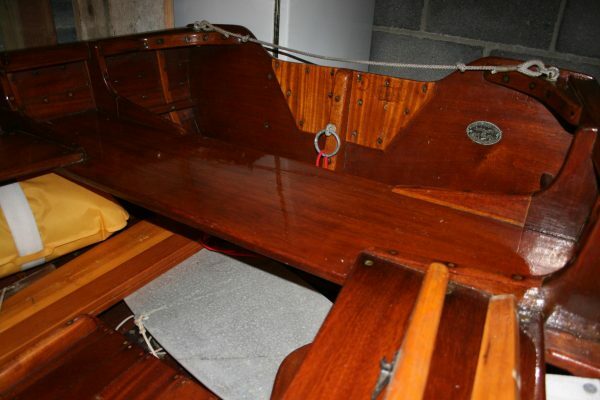 She has been kept undercover her entire life by several very careful owners which is evident by her current condition. 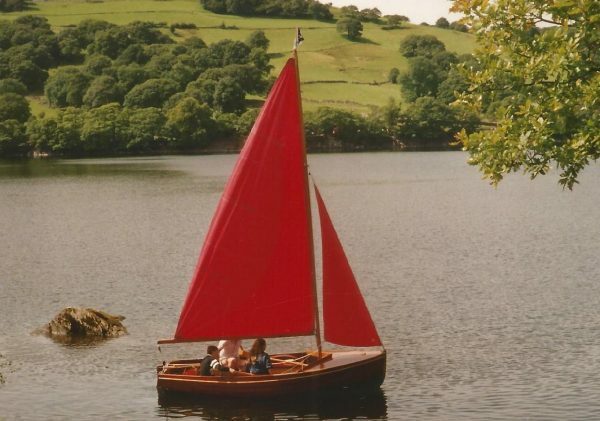 The present owner has had her for more than 30 years and has sailed extensively around the lakes of Cumbria, the Norfolk Broads, the south coast and Ireland. She is on a tidy road trailer and is ready to be towed away, the owner is happy to deliver to a new owner in the South West or Dorset. 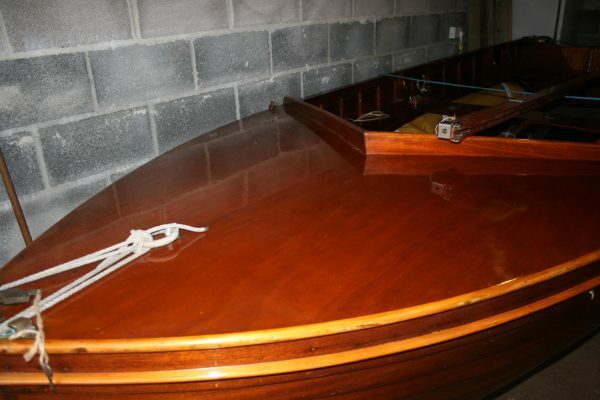 Clinker planked in Brazilian Mahogany all copper rivet fastened to steam bent oak timbers. 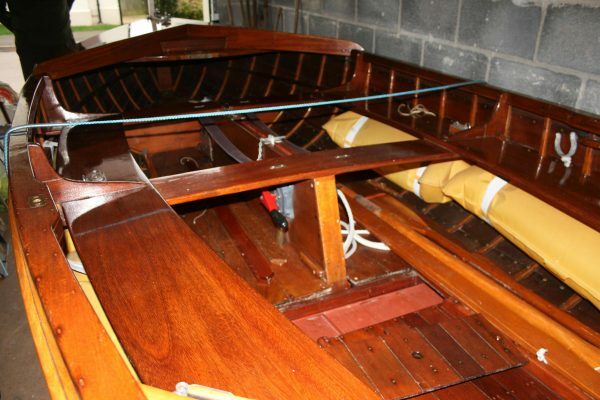 Varnished inside and out from new. 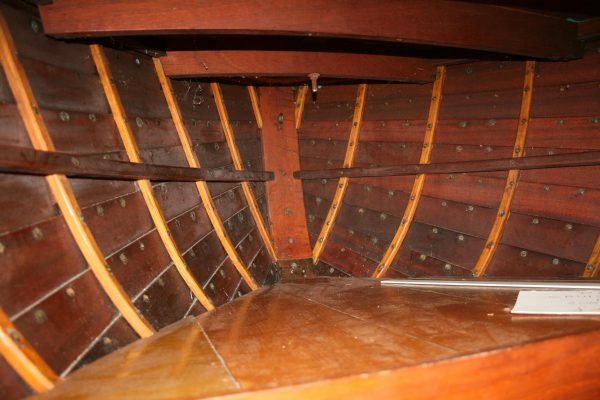 Varnished plywood foredeck. 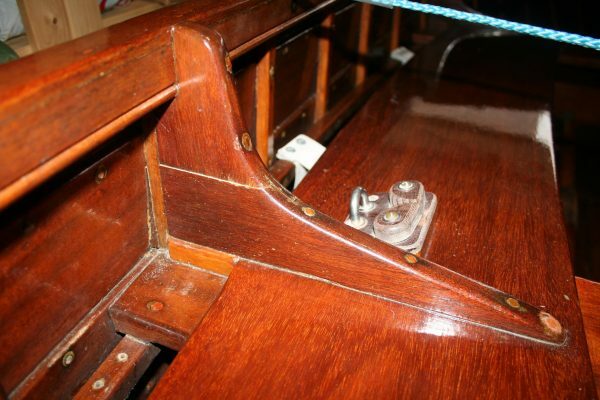 Bronze fairleads and stem fitting. 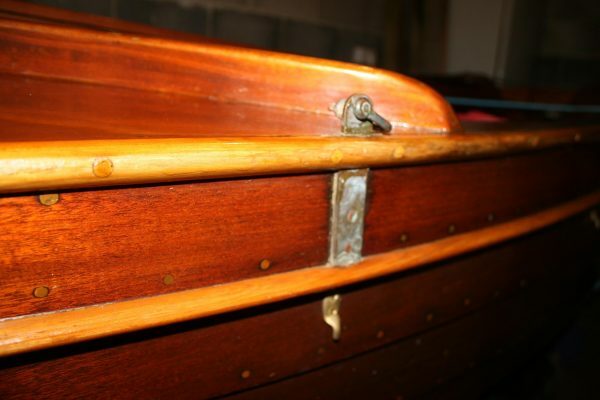 Varnished mahogany thwarts and knees. 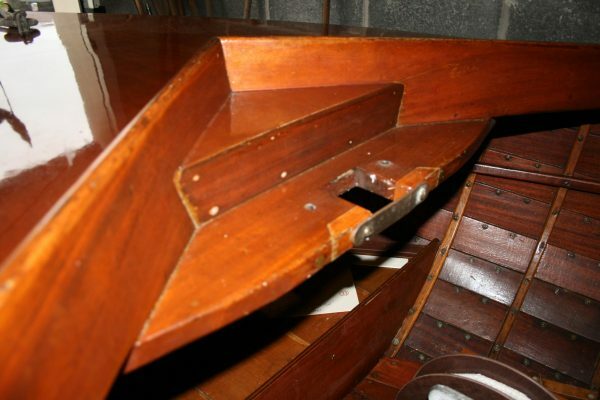 Plywood tray arrangement under the foredeck gives a dry storage area for equipment and stores. 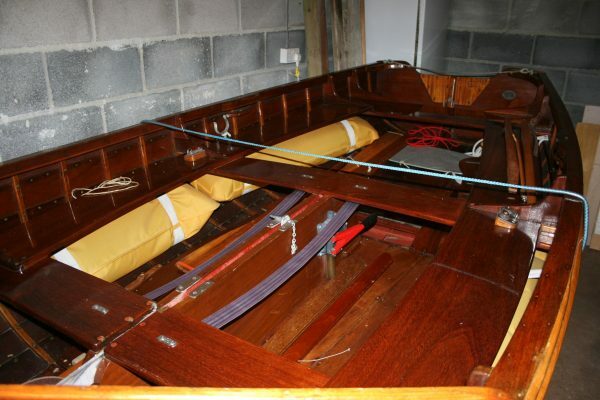 Bermudan sloop rig on varnished wooden spars. 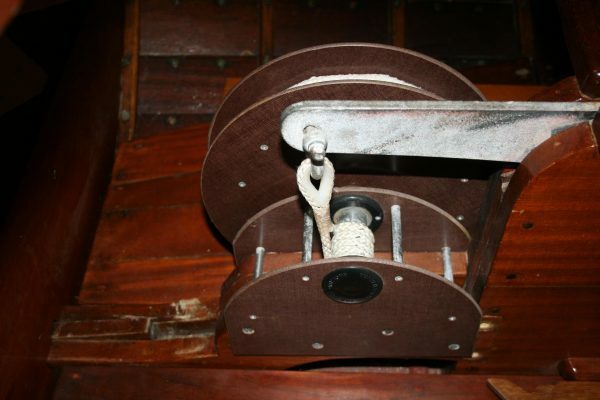 Stainless steel standing rigging made up with lanyards to bronze chain plates. 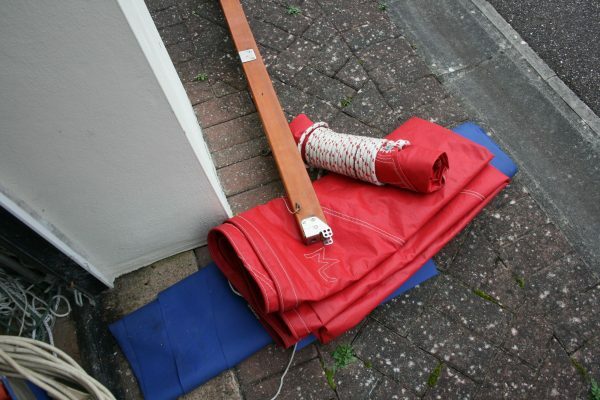 Main and headsail by John McKillop in red terylene. 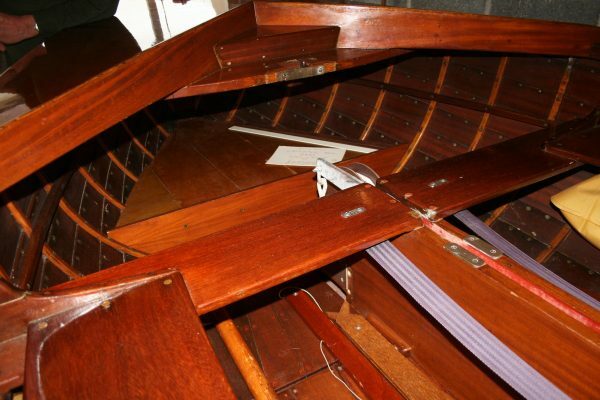 Tuffnell jamming cleats for headsail sheets.